Grab your brushes and trowels and step back in time! For budding adventurers, grab your brushes and trowels to dig, observe and identify a whole host of plants. Work together to uncover an authentic dinosaur skeleton from the Secondary era. Are you up to the challenge of unearthing the traces of the past ? The oldest wood in the world was discovered in Anjou ! Armoricaphyton chateaupannense is a new fossil plant that was discovered in the Châteaupanne quarry (Montjean-sur-Loire) of the Anjou region. It dates from about 407 million years and is of special interest because it is the world’s earliest known example of wood. 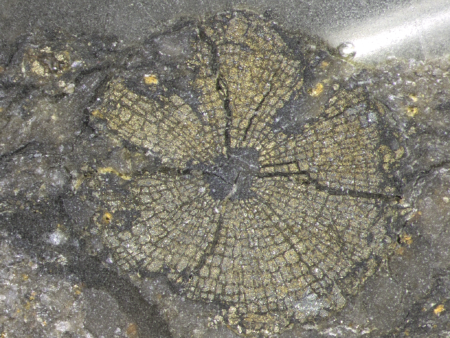 This discovery pushes back the geological age of wood by 10 million years and shows that it first evolved in small plants.